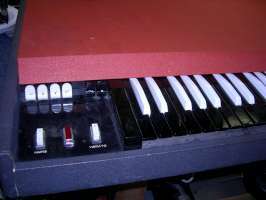 The combo organ is a transistor organ packaged for use by a music group on the concert stage. Combo organs are colorfull, versatile, and portable. The typically gritty voice of a combo organ is featured in hit recordings by: The Animals, Arctic Monkeys, Blondie, The Doors, Elvis Costello, The Horrors, Iron Butterfly, Kaiser Chiefs, Manfred Mann, Pulp, Stereolab, Strawberry Alarm Clock, Talking Heads, Them, and XTC. 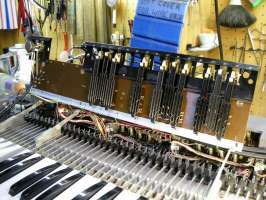 Bring your Combo to Keyboard Service.